Notes about navigating this website: If you are interested in a certain topic, try using the search feature at the left at the top of the column, or see the "Topics" page (coming soon). Some of my favorite posts are on the "Best Of" tab (coming soon). The pictures are click-able if you would like see them enlarged. If you would like notification of new posts you can subscribe to receive emails. Scroll down to see some of my interests and for contact information. Thanks for visiting! Now I like to take my kids, or anyone for that matter, on excursions to observe the abundance of extraordinary natural phenomenon around me. 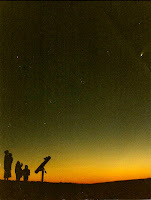 This blog is a way for nature lovers from all over the world to enjoy these creation miracles with me. 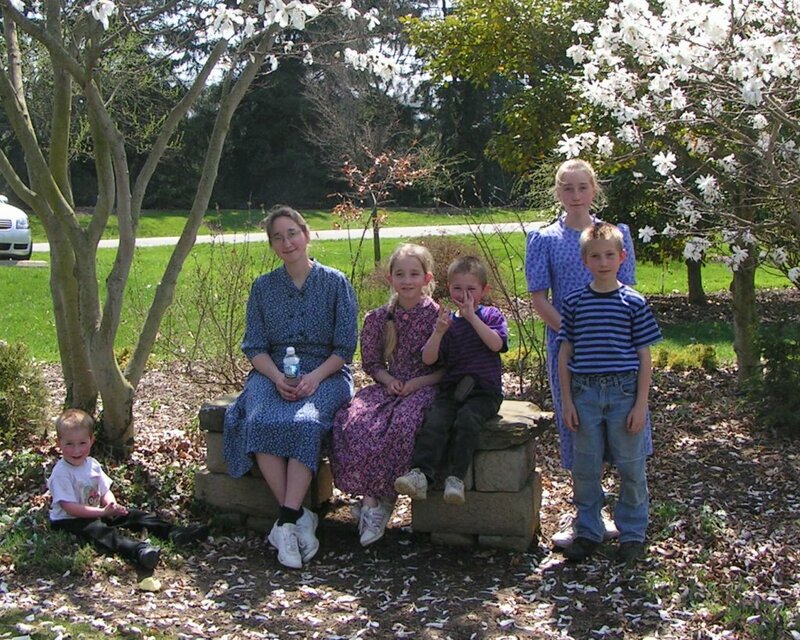 This is my lovely wife and family. 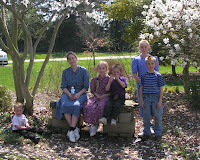 The picture was taken years ago at an arboretum in Wooster, Ohio. Here are my homeschooled children in a very muddy classroom. In this instance I am introducing them to insects that live in the harsh environment of a cave... blind, white, cave critters or troglobites. 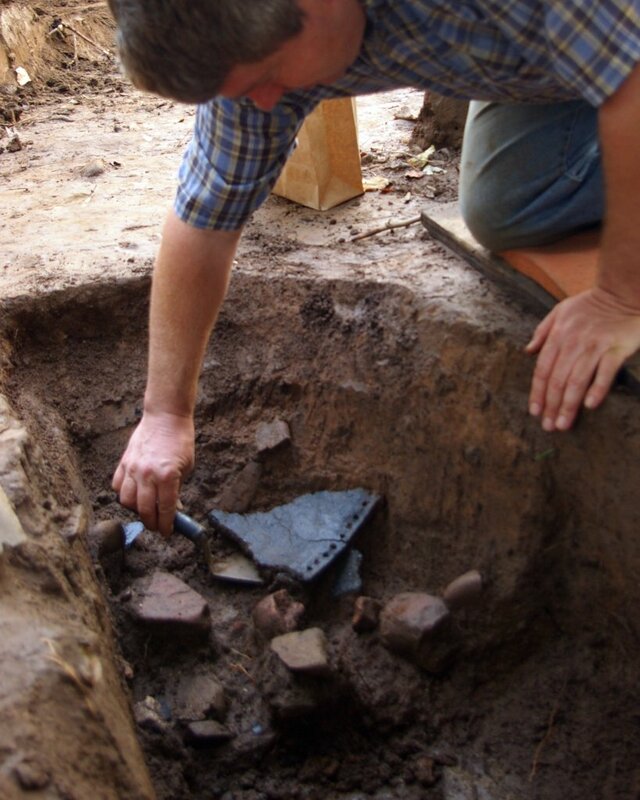 I've participated in a number of archaeological excavations over the years. 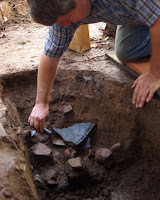 For the last few years I've been conducting my own excavation of a 1000-year-old village site. I also use my trusty trowel to discover some interesting natural phenomenon as well... such as when I exposed the burrow of a solitary wasp or cross-sectioned an earthworm midden. The sun, moon, planets, and stars might show up in my posts on occasion. 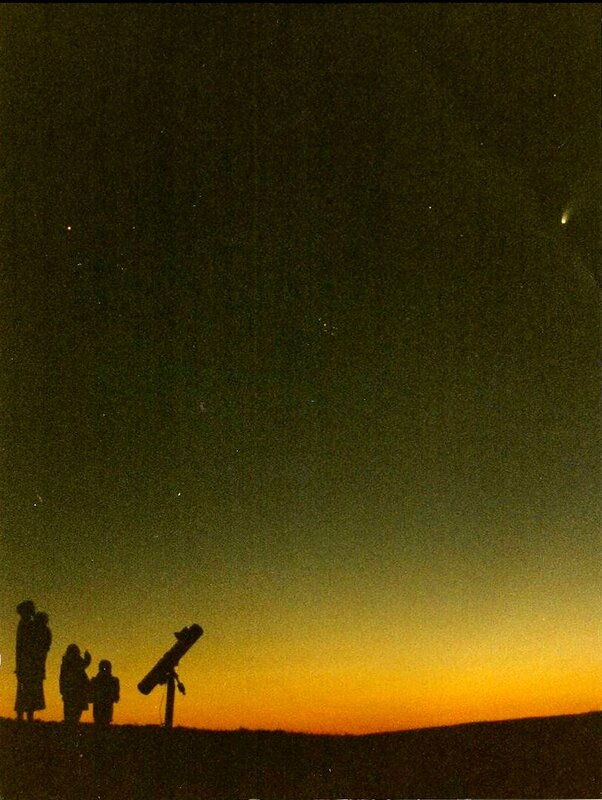 For instance, we watched the 2012 Venus transit. The field of geology is a vast one... I especially am interested in sedimentology and geomorphology. 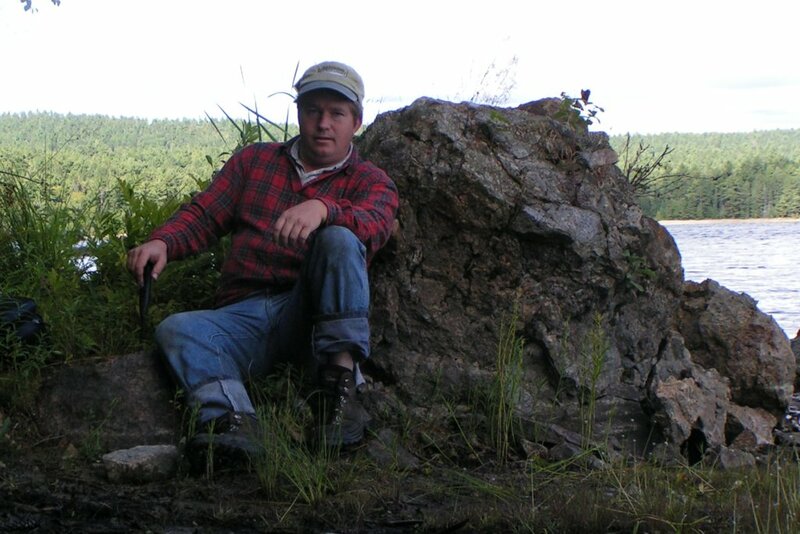 Here I am leaning against some breccia in the bottom of Brent Crater in northern Algonquin Provincial Park. 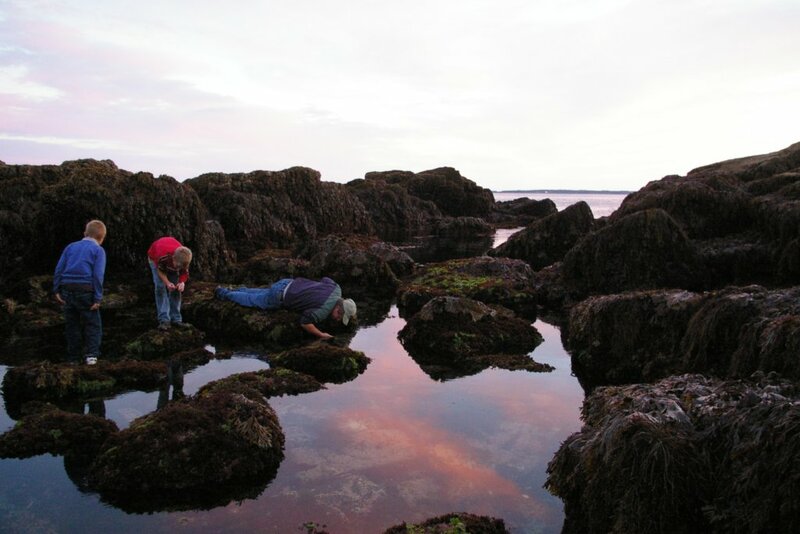 This photo shows us admiring a glacial erratic in Acadia National Park. Rocks may outcrop here and there among my nature rambles. I'll let you in on a secret... this old iron furnace is often called the Revelton Iron Furnace, when actually it was the Pioneer Iron Furnace in Ashfield, Pa. From the evidence I've seen it looks like back in the 1850"s they used charcoal for the furnace but also experimented with coal and coke and even calcination. Occasionally I weave some history into Nature Posts, like when I included some Pennsylvania logging history. I don't need to go into detail on my interests in nature. Suffice it to say I'm not satisfied by knowing the name of something.... I like to know how it works, its biotic interactions, etc. to stream ecology and vernal pools in our mountains... I plan to keep sharing some of nature's secrets with which I am acquainted.